At one point, Joan Rivers and the Oscars were as synonymous as the Oscars and, well, the red carpet itself. 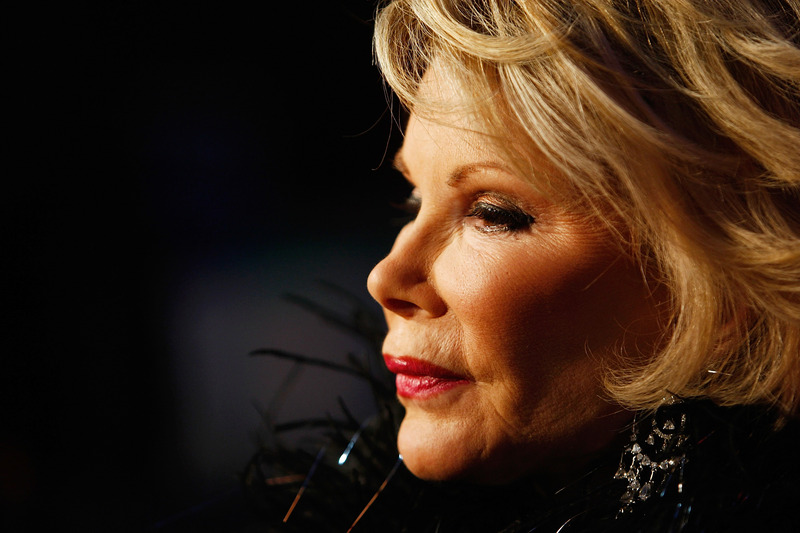 Yet, despite the fact that the comedian was a red carpet staple on the awards circuit for years, Rivers was snubbed in the Oscars' In Memoriam segment. And no one is happy about it. Now, every year there is one actor who fails to make the cut in the Kleenex-worthy segment — the Academy is unable to fit everyone who contributed to Academy greatness who passed in the past year in a video that runs just a few minutes long. That said, it seemed odd to many that Rivers — who died in September after a career than spanned over half a century — would not make the final cut, considering she provided her biting wit to the red carpet starting way back in 1996. Still, a pre-show tip of the hat certainly didn't seem like enough for many who came out in droves to protest Rivers' absence during the In Memoriam segment. So, yes, it's likely that Rivers would have loved the snub, and even turned it into material. So let's not sweat it, Rivers fans. Instead, just don't get us started on the fact that Elaine Stritch didn't make the cut either.